« Green Connections Walk at Heron’s Head Park, Saturday, March 10th — FREE!! No one to call you sweet nothings and bring chocolate hearts this year? Fret not, you have only to look outside to see a beautiful Valentine’s Day gift sure to lift your spirits and brighten the neighborhood as well. 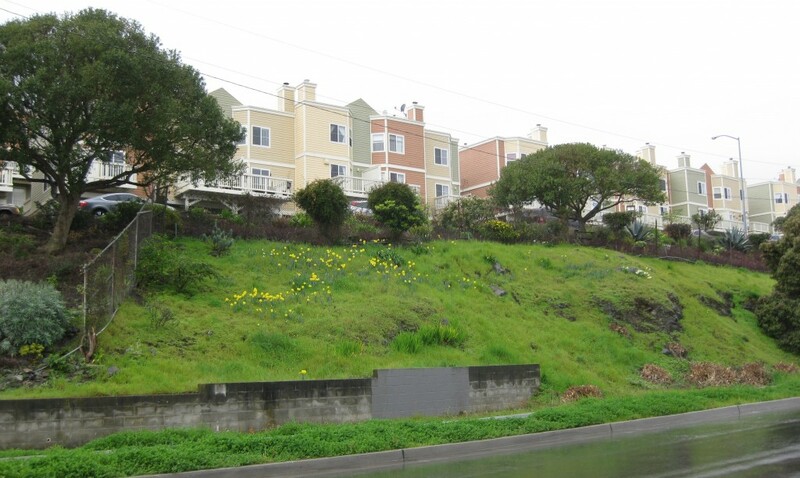 On the last block of Innes Avenue outside of the Hunters Point Shipyard, just before Donohue Street, you’ll see Daffodil Hill in bloom. IBNA members Richard Laufman and Clare Conrad have worked hard for the past few years to plant various daffodil bulbs. The bulbs are blooming now — watch for changes in the coming weeks.